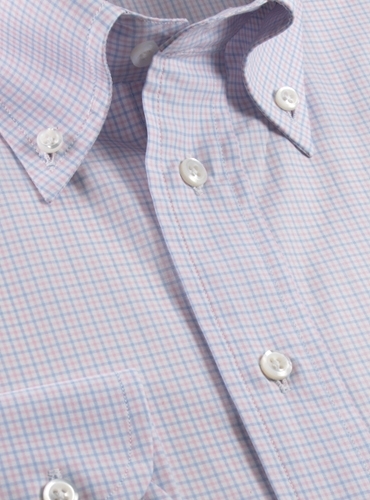 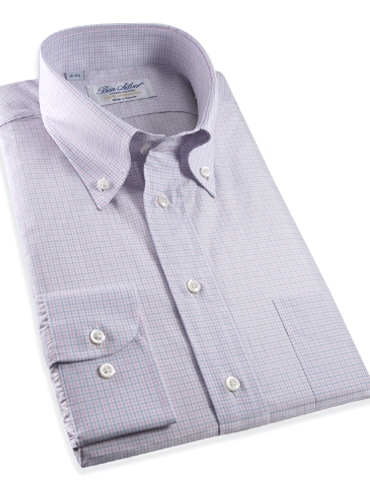 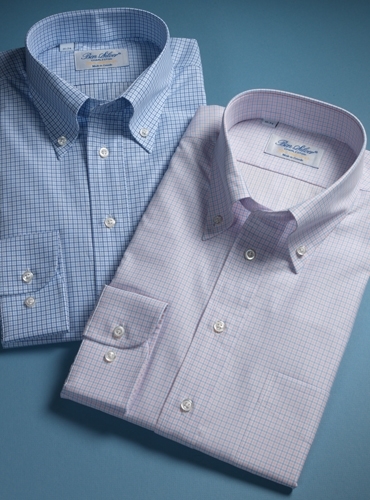 One of our exceptional shirts cut from fine 2-ply 140s thread count cotton, woven in Italy, and cut into our fine button down collar, button cuff model, in a full range of dress shirt sizes, with Mother-of-Pearl buttons, single needle stitching, side gauntlets, extra sleeve buttons, and additional space at the left cuff for a wristwatch. 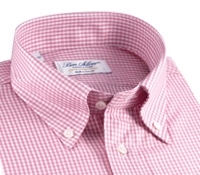 Shown here in a white ground with pink and sky check. 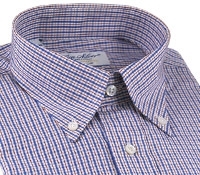 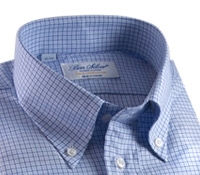 Also available: 6433-white with sky and cobalt check.